“TIRESIA” BY TIRESIA AVAILABLE ON DIGITAL STREAMING! Finally, “Tiresia” by Tiresia is available on Spotify, iTunes and Amazon for digital streaming. Enjoy Inside/Outside by this link! 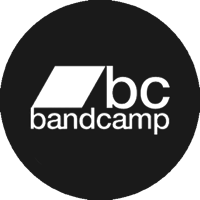 Buy your own tape from our Store / Bandcamp! Limited edition of 73! Grab it before it’s too late! TIRESIA is a new music project by Bruno Dorella and Stefano Ghittoni. Inspired by the mythological character, both male and female, fortune-teller and fugitive, that has lived multiple lives. Tiresia is also the name of one of the main character in the movie “I Cannibali” (1970) by director Liliana Cavani. Played by Pierre Clementi, he is a sort of mystic that speaks an obscure language trying to rise up against a killer and reactionary government. The movie was declared “out of time and inappropriate”, tragic and disturbing, too realistic. Poetically a good starting point. Music adds to this poetic pieces of psychedelic minimalism, in between ambient music, dilated soundtrack and shoe gaze drifts.